I cannot wait to turn into a butterfly!!! Ummmm... No one had the heart to tell Steve the truth. I cannot wait to turn into a butterfly!!! 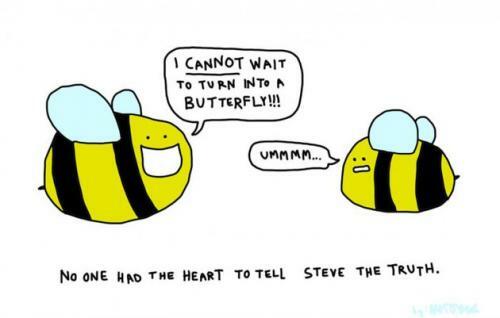 No one had the heart to tell Steve the truth.